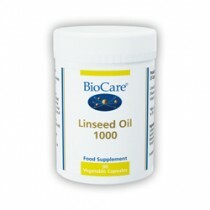 BioActive Q10 is a new product containing coenzyme Q10 in the reduced form, ubiquinol. Coenzyme Q10 occurs within the body in two closely related chemical forms, oxidised (ubiquinone) and reduced (ubiquinol). Until recently, coenzyme Q10 supplements were only available in the oxidised form as ubiquinone. In 1990, Pharma Nord was the first company to introduce coenzyme Q10 in ubiquinone form into the European market. Now Pharma Nord have introduced Pharma Nord BioActive Q10, containing ubiquinol manufactured by the Kaneka Corporation of Japan, the world's leading supplier. Why two forms of Coenzyme Q10? There is evidence that dietary coenzyme Q10 must be reduced to ubiquinol within intestinal enterocytes prior to release into the lymphatic system, and that this may represent a rate-limiting step for coenzyme Q10 assimilation. Dietary coenzyme Q10 supplements containing ubiquinol avoid the necessity for this coupled absorption/reduction step, which may explain their increased bioavailability. Comparison of corresponding dose/plasma levels from several studies indicates the bioavailability of ubiquinol to be several-fold greater than that for ubiquinone. What is special about Pharma Nord BioActive Q10? Ubiquinol is extremely sensitive to the effects of air and light. 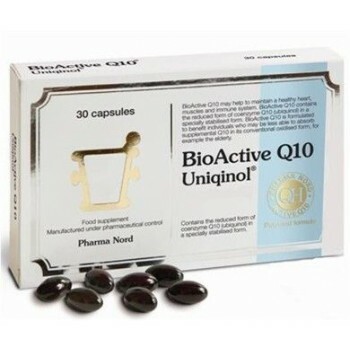 BioActive Q10 contains ubiquinol in a stabilised form, using specially developed lightproof and air-proof packaging to prevent oxidation via a unique patented process. Pharma Nord is therefore able to guarantee the stability of this product during the whole of the product shelf life. Like all Pharma Nord products, Pharma Nord BioActive Q10 is manufactured to pharmaceutical standards, a guarantee of product quality, safety and efficacy. The production of Pharma Nord Q10 products is guaranteed to be nanotechnology-free. The World Health Organisation, The European Commission and the Soil Association have all expressed caution about the application of nanotechnology to foods. Pharma Nord BioActive Q10 products are the best documented in terms of bioavailability in human subjects. What does BioActive Q10 do? Coenzyme Q10 has two major roles within the body, namely in energy production and as an antioxidant. Coenzyme Q10 is an essential cofactor of enzymes that convert sugars and fats into energy, within specialised sub-cellular organelles called mitochondria. Both forms of coenzyme Q10 are of equal importance in this process. Coenzyme Q10 is also important as an antioxidant, protecting cell membranes (particularly mitochondrial membranes) from damage by free radicals. The reduced form of coenzyme Q10 is more important as an antioxidant than the oxidised form. Thus Pharma Nord BioActive Q10 helps to maintain a healthy heart, muscles and immune system, all of which have a high-energy requirement, as well as a high antioxidant requirement. How much Pharma Nord BioActive Q10 should I take? The recommended dosage for BioActive Q10 is 30 to 100mg daily, to be taken in split doses with meals. Dietary supplementation can help to maintain optimum levels of coenzyme Q10 within the body. As individuals age, the body is less able to maintain optimal coenzyme Q10 levels. This becomes increasingly significant from the age of 35 onwards. In addition, coenzyme Q10 levels are depleted by lifestyle factors such as alcohol consumption and smoking, as well as by physical exertion, illness, or taking statin-type drugs. Are there adverse effects from taking Pharma Nord BioActive Q10? Coenzyme Q10 is generally well tolerated, with no serious adverse effects reported in long term use. There are no known toxic effects, and coenzyme Q10 cannot be overdosed. Pharma Nord BioActive Q10 is not recommended for pregnant or lactating women, in whom the effects have not been specifically studied.